We are constantly working on improving our Ambient Mixer mobile app for you. 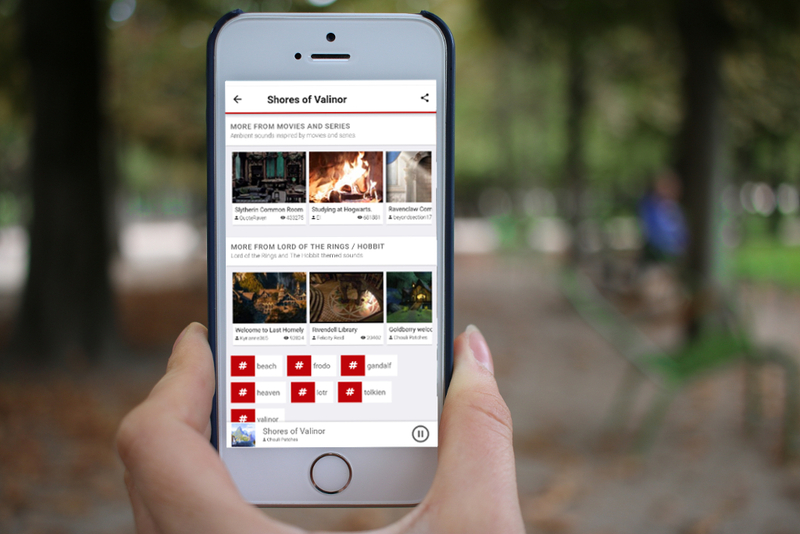 Thus, we are proud to announce our newest, big update with major improvements and a few fixes! Read more to find out what changes, what was added, and what was made many times better! You are using the Ambient Mixer app with headphones? Then you will be able to notice something new as well. Under “Settings”, you can choose a High-Quality Playback option. Enabling this option will slow down the loading of a mix, but increase the audio quality tremendously as well as introduce an improved stereo playback. But be careful: this slows down phones with a small RAM and drains your data when not using wifi. Thus, make sure to disable the option when your internet connection is slow. The night timer is one of the features you get with any kind of subscription to the new Ambient Mixer app. Setting the timer will play the sound mix of your choice for as long as you have set it. It’s great for meditation sessions or falling asleep. In the past, once time ran out, the mix simply stopped. This felt a bit harsh to us, thus we now introduced a fade-out! Easy transition between your favorite ambient mix and the following silence. You can find the Night Timer under “Library”. 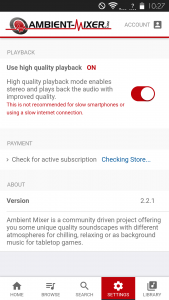 The new Ambient Mixer app can be shoved into the background of your phone, allowing you to keep browsing and using other apps while still listening to your favorite ambient mix. What if there is no music or sounds playing though? With this update, the app is prevented from being active in the background when no sound is playing. With this update, your battery will thank us. Usually, the premium subscriptions to our app work reliably. However, sometimes the Apple App Store or Google Play store may need some more time to process your payment. In order to prevent you from not being able to use your subscription, we now implemented a way to check back with your app store. Under “Settings”, you now have the option to “Check for active subscription”. The app will then check back with the app store and update the app according to purchases you made. Unfortunately, it seemed that our app mingled with the alarm function of different smartphones. When the app was playing music, it could happen that the alarm didn’t go off or wasn’t loud enough to be heard. This is fixed now! No need to worry that you get too relaxed and miss your appointment or leave something in the oven for too long! The Ambient Mixer app looks better than ever before! We did some visual enhancements you will recognize immediately. Feel free to contact us on social media or our support e-mail address!